Controller: It can control the movement of the two motors as well as the direction and speed via the joystick, there are Zhiwei controller and import PG controller for your choice. Driver: It consist of motor driver, electromagnetic brake, gear case, conversion assembly. 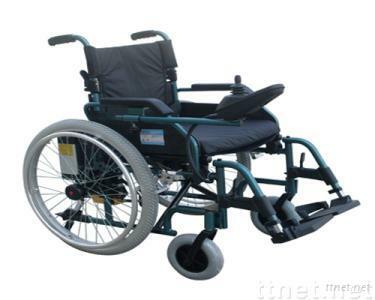 Ordinary manual wheelchair can be converted to power wheelchair by the drive kit. Battery: 2 units of recharge lithium battery, power saving, environmental protection, durable & portability.